Dr. Janeway is an osteopathic physician who is board certified in psychiatry. He received his medical degree from Michigan State University and completed a residency and chief residency in psychiatry at Beth Israel Medical Center. 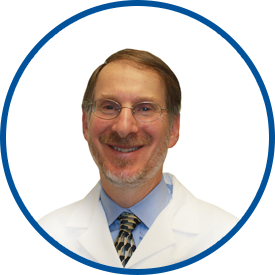 He has 25 years of teaching and clinical experience in psychiatry and behavioral medicine. Dr. Janeway specializes in the treatment of anxiety and stress-related medical conditions, psychological and physical trauma and pain disorders. He uses cognitive behavioral therapy as well as mind//body therapies. Dr. Janeway was director of integrative behavioral health services at Westchester Medical Center from 1997-2004. He is an assistant professor of psychiatry at New York Medical College, where he teaches residents in cognitive behavioral therapy and behavioral medicine. His hospital affiliation is with Westchester Medical Center. His professional memberships include the American Psychiatric Association and the Westchester Group Psychotherapy Association. Dr. Janeway joined WESTMED Medical Group in July 2012. He is the associate medical director for psychiatry and behavioral health for the practice.